David E. Moore (left) will perform Reply for a Dead Man by Walter Mosley (right), music by Laurie San Martin (center). The Left Coast Chamber Ensemble’s upcoming concert, Short Stories, presents two new pieces, both telling stories with music. The first piece, by up-and-coming composer Charles Zoll, Bailes encima del escritorio de nuestra juventud (dances atop the school desks of our youth) reveals the story of a young couple dancing on top of desks during a school lunch period. Taking the top prize of the 2013 national Rapido! Composition Competition, Zoll’s piece lines up somewhere within the spectrum of jazz and classical. “It is a musical exploration of the limits of motion as they are characterized by dance, where one dance form blends into the next in reaction to its predecessor,” explains Zoll. “Our couple dances alone, confined to the surface area of an ordinary school desk. With only vertical space to explore, they make it work.” The dancers move with the music from a gritty flamenco to a darker more serious tango, then lighten up with a lindy-inspired turn, and continue on with Latin and jazzy influences, finally ending up with an original amalgamated dance piece of their own creation. 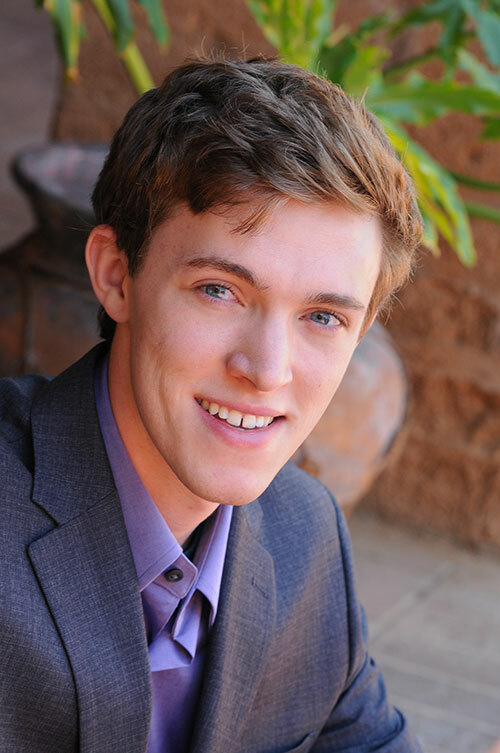 Composer Charles Zoll was a senior at the University of Arizona, Phoenix when he was awarded the top prize for the 2013 national Rapido! Composition Contest. Mr. Zoll is currently enrolled as a graduate student at McGill University in Montreal, Canada. His most recent composition teachers have included Daniel Asia, Pamela Decker, Melissa Hui, Suzanne Knosp, and Craig Walsh. He has avidly sought out new venues and new players for his compositions. Recent projects have included writing for graduate student choreographers, chamber ensembles, and even Chinese folk music festivals. As a native Tucsonan, he develops most of his sound with humanity, nature, bicycling, and Barrio politics in mind, and enjoys reinterpreting laughter and speech in music. Composer Laurie San Martin’s compositions have been performed throughout the United States, Europe and Asia. She has written concert music for chamber ensemble and orchestra as well as incidental music for theater, dance and video. Recently she collaborated with Korean gayageum virtuoso, Yi Ji-Young. This experience has opened new creative avenues including an upcoming pansori-based theatrical work for the CrossSound Festival in Alaska and a new work for Korean Daegeum virtuoso Jeong-Seung Kim. Ms. San Martin has written for many American ensembles, including Speculum Musicae, eighth blackbird, the SF Chamber Orchestra, the Lydian Quartet, the San Francisco Contemporary Music Players, Washington Square Contemporary Chamber Players, EARPLAY and the Left Coast Chamber Ensemble. Ms. San Martin has received awards from the League of Composers-ISCM, the International Alliance for Women in Music, the Margaret Blackwell Memorial Prize in Composition, the American Academy of Arts and Letters, and the ASCAP Morton Gould Young Composer’s Awards. As a composition fellow, she has attended the MacDowell Colony, Yaddo, Atlantic Center for the Arts, Norfolk Contemporary Chamber Music Festival and the Composers Conference at Wellesley College. Ms. San Martin serves on the faculty of the University of California at Davis. Actor David E. Moore is a 10-year veteran of Bay Area theatre, David has worked with several local and regional companies, including Crowded Fire Theater, Marin Shakespeare Company, Colorado Shakespeare Festival, AlterTheater, and Arabian Shakespeare Festival, where he was most recently seen in the U.S. premiere of A Message. This summer, David will play Lucentio in San Francisco Shakespeare Festival’s production of Taming of the Shrew. Favorite roles include Truth in Good Goods for Crowded Fire, Booth in Topdog/Underdog for 6th Street Playhouse, and (as a guest artist) Learned Jack in I Dream of Chang and Eng at UC Berkeley, where David previously earned a B.A. in Theater and Performance Studies.